ARTEMIS Industry Association is a membership organisation with about 200 members and associates from all over Europe. The multidisciplinary nature of the membership provides an excellent network for the exchange of technology ideas, cross-domain fertilisation, as well as for large innovation initiatives. ARTEMIS Industry Association is the association for actors in Embedded Intelligent Systems within Europe. As private partner, the association represents its members - industry, SMEs, universities and research institutes - in ECSEL Joint Undertaking. 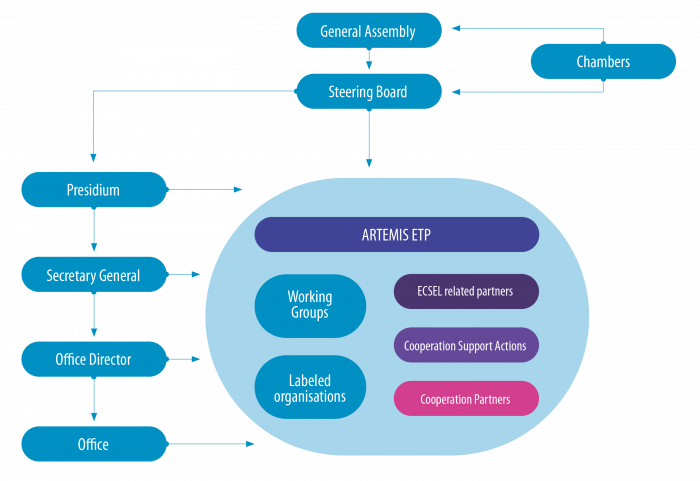 ARTEMIS Industry Association continuously promotes the R&I interests of its members to the European Commission and the Public Authorities of the participating states. The vision driving ARTEMIS Industry Association is that mankind should benefit from a major evolution in our society, whereby our world is widely supported by Intelligent Systems. A world in which all systems, machines and objects that become smart will have a presence in cyber-space to exploit the digital information and services around them, through communication with the environment and with people, and continue to manage their resources autonomously. ARTEMIS Industry Association nurtures the ambition to strengthen Europe's position in Embedded Intelligent Systems and to attain world-class leadership in this domain to support the European Industry. Industry in the best way possible. to policymakers the need of research and funding in Embedded Intelligent Systems. European Technology Platform in Embedded Intelligent Systems. of the partners of ECSEL Joint Undertaking. 1To represent R&I actors in Embedded Intelligent Systems in Europe and to continuously promote the R&I interests of its members to the European Commission and the Public Authorities of the participating states. 2To focus on disseminating and supporting the ECSEL & H2020 projects. 3To participate in ECSEL Joint Undertaking with the ‘ARTEMIS Community’, involving industry, SMEs, universities and research institutes. ARTEMIS Industry Association will support ECSEL Joint Undertaking and its projects in the same way as the association has supported ARTEMIS Joint Undertaking. Build a self-sustaining Innovation Environment for European leadership in Embedded Intelligent Systems. Full development of the innovation potential of SMEs in Embedded Intelligent Systems. Address European strategic priorities in addition to the individual interests of companies and countries, upstream and downstream. (more info: High-Level Vision 2030 by ARTEMIS & ITEA). Aligning research agendas for Embedded Intelligent Systems. 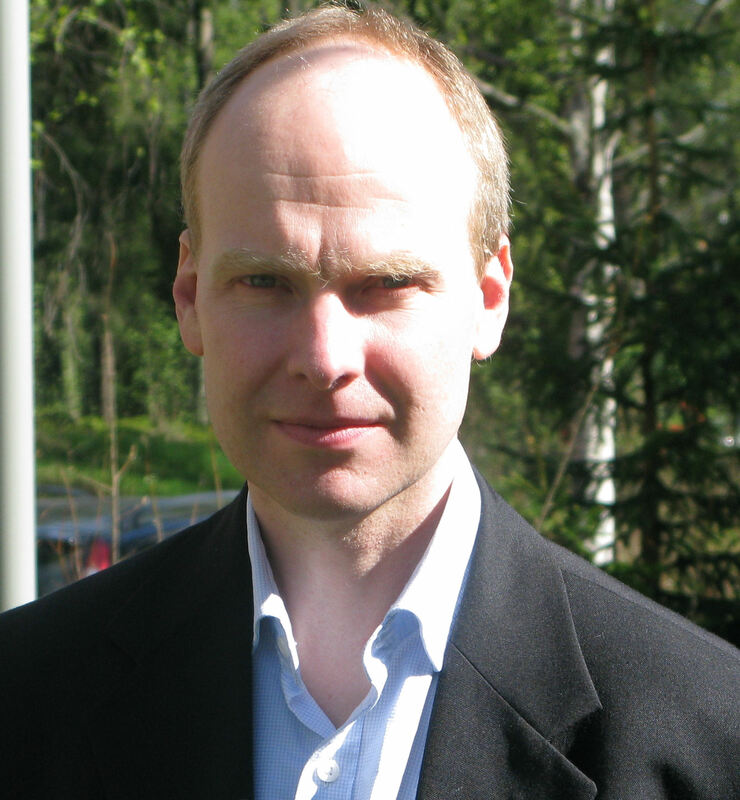 Matti Heikki Juhani Kutila Senior Project Manager (IPMA C) at VTT Technical Research Centre of Finland Ltd.
Technolution is a hightech midsized company based in Gouda, The Netherlands. For nearly 30 years we are frontrunners in the design, development and delivery of hightech solutions for our customers. As a Technology Integrator, we act in the Mobility, Energy and Science&Industry markets. To stay at the front of new developments, we significantly invest in innovation. We do this in European programs such as H2020, ECSEL and Eureka! as well as in-house. Since our systems are often based on Cyber-Physical Systems, we see Artemis-IA as an excellent association to build, extend and strengthen our network in the field, ultimately leading to better solutions for our customers. Bas Dunnebier Director at Technolution B.V.
First ever joint Electronic Components & Systems (ECS) Strategic Research Agenda (SRA) is published, setting out the vision of ARTEMIS-IA, AENEAS and EPoSS for digital Europe. New technologies and challenges created the need for a brand-new Strategic Research Agenda. In April 2016 the SRA 2016 was launched. The ECSEL-JU programme started with the merge of the previous ARTEMIS-JU and the ENIAC-JU in June 2014 and will finish in 2024. ARTEMIS Industry Association represents actors from the Embedded Intelligent Systems area. ARTEMIS Industry Association, together with ITEA, conducted a thorough study on the economic dimensions of Digital Technology and the impact of software innovation on revenue and jobs in Europe. The results of this study are published in the ITEA-ARTEMIS-IA High-Level Vision 2030. New technical options and challenges occurred and it became clear that an update of the first edition of the SRA was needed. The SRA 2011 was therefore launched in April that year. The ARTEMIS Joint Undertaking (JU) became a reality in February 2008 as a Community body based in Brussels by means of a Council Regulation. In 2007, the ARTEMIS Industry Association was founded as legal body, to continue the activities of the ARTEMIS ETP and to become the legal private partner in the ARTEMIS Joint Undertaking. One of the core tasks of the ARTEMIS ETP was to define a common Strategic Research Agenda (SRA) which acts as a reference for the Embedded Computing domain to attract investment from the stakeholders. The first version of the SRA was published in March 2006. The ARTEMIS European Technology Platform was established in June 2004. Its aim was to bring together key players in the Embedded Computing arena across the entire spectrum of industrial sectors by 17 major companies.